Renting a Dumpster in Antioch? Call Discount Dumpster! Dumpster rental trucks come out of Nashville but services the surrounding suburbs, including Antioch dumpster rentals. In order to rent a roll off dumpster just call the office or fill out a contact form. In most cases we are able to deliver your roll off in 24 to 48 hours of request. By utilizing multiple transfer stations we are able to get your dumpster out on time. First time renting a dumpster? We are here to walk you through the process. 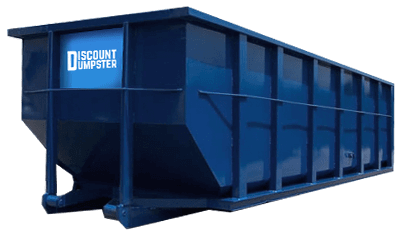 With competitive pricing and no hidden fees, you will be confident in utilizing Discount Dumpster for your junk removal Nashville needs. Discount Dumpster is family run and we treat every customer like they are an important account, because every customer is important to us. We partner with haulers all across Nashville so our prices stay low and create cheap Antioch dumpster rentals for you. Every dumpster offered allows a certain amount of weight. To be sure you do not go overweight be sure to let Discount Dumpster know what will be placed in the dumpster. Planning ahead will save you money down the road. Items such as dirt and concrete weigh more than you think. For example, dirt weights about 1.2 tons per cubic yard of material! Wow, that is a lot of weight. Antioch dumpster rentals allow a one stop shop junk removal Nashville at your door. Ready to Rent a Dumpster? Pick Up The Phone. Why Do You Need A Dumpster? Antioch dumpster rentals provide extra space to haul off large items and complete projects faster. Do not waste your time by going to the dump 3, 4, or even 5 times. 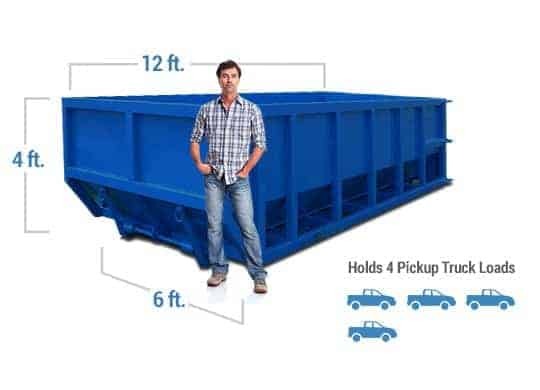 It is cheaper to haul your junk off with a roll off dumpster rental. Prohibited items include but are not limited to: Oil, Electronics, Freon Appliances, Wet Pain, Chemicals, and more. If in doubt call our office and we will let you know. We look forward to working with you! May I place my roll off dumpster on the street? You are able to place a dumpster on your driveway or the street. Though the City of Antioch may require a permit if it is a highly trafficked road. In certain cases a street permit may be issued from the city. Pricing for permits varies based on location and length of time you need the container to remain on site. When you call to rent a dumpster, we will go over all delivery options available. If you end up needing a permit we will be happy to walk you through the process. What are items that are not allowed in a dumpster? Some types of material is not able to be taken to dump facilities which cause separate disposal options. Individual landfill policies and city by city regulations impact what you are able to dispose of. If you are unsure about a specific item or items let us know. With a better understanding of your waste removal project we will provide the right dumpster for you, or point you in the right direction. For a list of items not allowed in a dumpster visit our prohibited items list. By utilizing local dumps close to you we keep costs to a minimum. Local waste and recycling facilities are sprinkled through Nashville. By making these partnerships we pass along the savings to you, the customer.